The Vinyl Board has a fabric backed vinyl surface. Our super-soft posting surface maintains a high level of durability due to the lightweight, yet sturdy substrate that bonds the tackboard. Fabric surfaces prevent the growth of odor and stain causing microbes. Moreover, all you need is a damp cloth to wipe the posting surface clean. Satin-anodized aluminum trim heightens the visual appeal, while providing extra support for the posting surface. You can order the Class A fire rated Vinyl Board in one of 10 sizes to meet all of your posting needs. Our design has exceed the requirements to receive the Greenguard Indoor Air Quality and Children and Schools certifications. 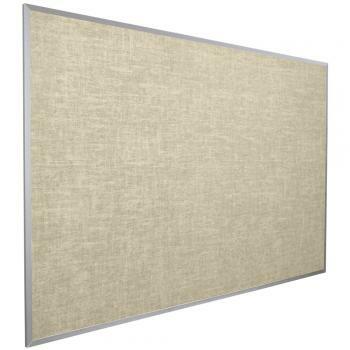 By ordering the Vinyl Board, you ensure that your students do not inhale noxious chemicals.